System tray icons also known as notification icon displayed on the taskbar ( usually located next to the clock ) has been present since the release of Windows 95. By default, Windows 10 shows icons like volume control, power settings, network, etc at the notification area. 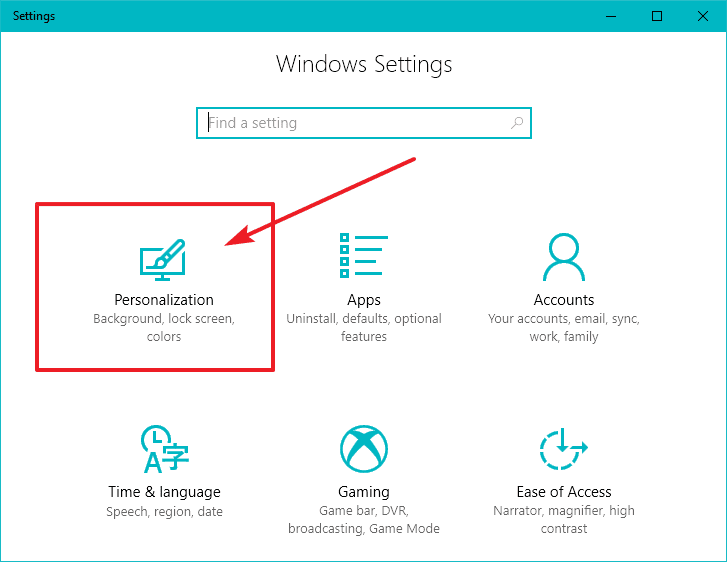 Though users can customize the notification area visible at the end of taskbar using the Windows Settings app. Users can choose which icons they would want to display or hide in the notification area. Follow this guide to learn how to show or hide system tray icons in Windows 10 operating system. Open the Windows Settings by using the Cortana search box next to the start menu. It will open the settings windows. Tap on Personalization and then go to Taskbar. Now, scroll down and look for the notification area. Here you will find two options- one is “Select which icons appear on the taskbar” using this option you can customize which icons you want to be displayed at the notification area while the other link “turn system icons on or off” will let you show or hide System icons such as Clock, Power, volume, network, action centre and many more. Under notification area settings, click on the “Select which icons appear on the taskbar”. Here, you will find the list of all the icons that can be displayed on the taskbar. Turn on the icon to show it on the taskbar and turn off to hide the icon. If you want to display all the icons in the notification area of the taskbar, enable “Always show all the icons in the notification area“. If you want to hide all the icons from the taskbar, turn off the same option. And also, make sure to uncheck all the lists. Go back to the notification area under the taskbar setting and click “Turn system icons on or off”. Disabling an icon will not only hide the System tray icons but also disable the notification for that icon. Turn on or Off the system icon switch to show or hide it in the notification area. Important Point: If you enable a system icon here and hide the same from “Select which icons appear on the taskbar” page, the icon will only be visible behind the up arrow. This concludes the article here. Hope you learned to customize the system tray icons at the taskbar. If you have any questions or difficulty, feel free to ask in the comment section.